It’s always a challenge to determine the appropriate catalog numbers for designs that have been repeated many times in the parks. We don’t always know which machine created the coins unless we pressed them ourselves and kept track. 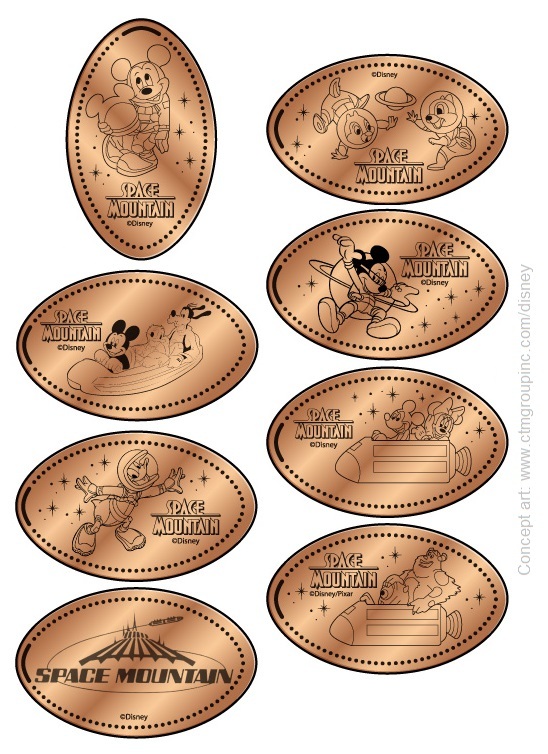 I have been sorting through the Disney World Rainforest Cafe pennies lately, trying to make sense of the similar designs. What follows is a set of identifiers for 5 of the retired penny designs. It is important to develop identifiers that do not require you have samples of competing coins in hand. I relied on the photos (and catalog numbers) from Presscoins.com to make comparisons and then examined the known examples in my collection. The down side: For every two coins, I had only one of the pair. Therefore I was entirely dependent on the attributions made at the Presscoins website. When analyzing photos, it is important to take into account different lighting, focus, and die wear. In addition, coins can roll short, so we have to avoid relying too much on details along the edges. Sometimes we have no choice, though . This entry was posted in Animal Kingdom, Disney Springs (Downtown Disney), Florida, Retired/removed on December 29, 2017 by jnmcnally. Two new machines were added in late September to Port Orleans. 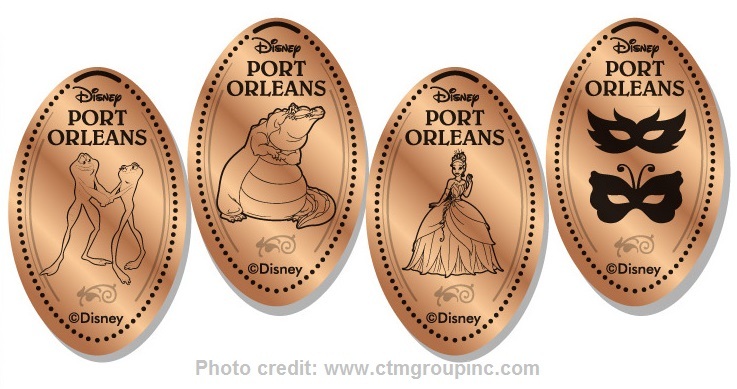 With a total of seven designs, the new machines are dedicated to the New Orleans-based cartoon The Princess & The Frog. 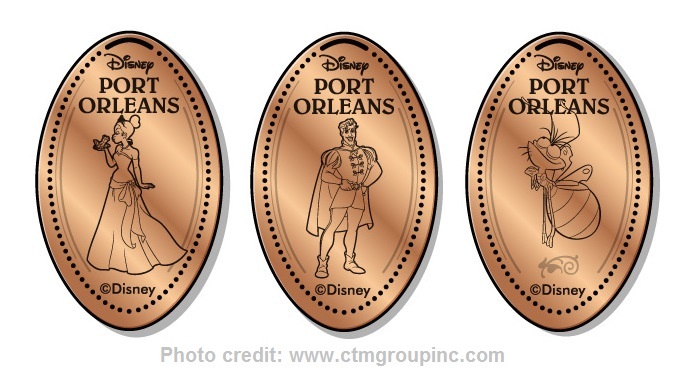 The website for CTM Group, the vendor responsible for penny presses at Disney World, had shown the old Celebrity 5 & 10 machine at Port Orleans, but in early October the site was updated to show the 3-die Frog machine instead. This entry was posted in Florida, New machines, Resorts/Hotels, Retired/removed on October 3, 2017 by jnmcnally. Presscoins.com is reporting that the quarter machine at Tower of Terror – which was off-stage for a couple weeks – has returned with an updated cabinet that matches the new 8-die penny press recently installed. They are also reporting that the Marketplace Fund Finds store at Disney Springs still has its outdoor machine, but the indoor machine has been removed now that the store has been rethemed as a Star Wars shop. There is no reason the indoor machine wouldn’t pop up elsewhere in Disney Springs, so keep an eye out. This entry was posted in Disney Springs (Downtown Disney), Florida, Hollywood Studios, Retired/removed on August 16, 2017 by jnmcnally.